An Instant Pot Thanksgiving: 9 Recipes You Need To Try In Your Instant Pot This Year! November 11, 2017 by Cheree' 1 Comment This post may contain affiliate links, which means if you click on a link and purchase something, I may earn a small commission (at no additional cost to you.) See my disclosure policy HERE. 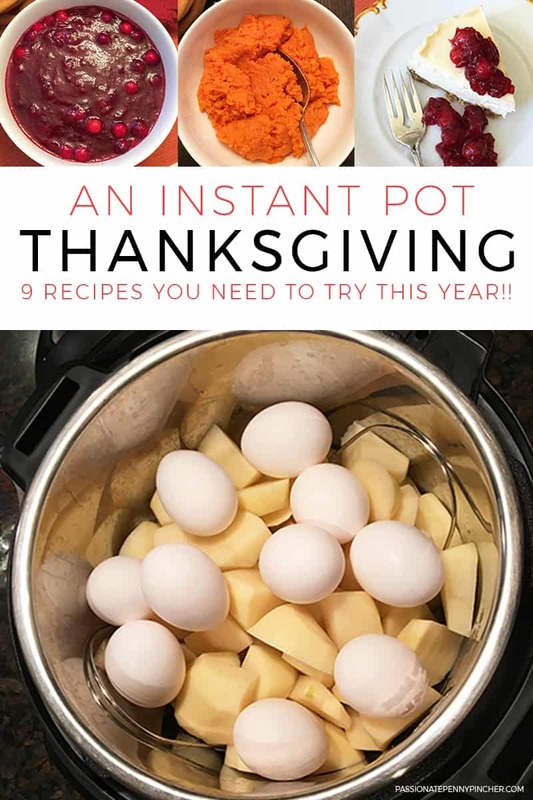 Note from Laurie: My friends Cheree and Staci pulled together this amazing list of Instant Pot Thanksgiving recipes and I thought it was such an amazing idea ~ I loved that they pulled together some of the PPP teams favorite recipes, and can't wait to try these out myself too. 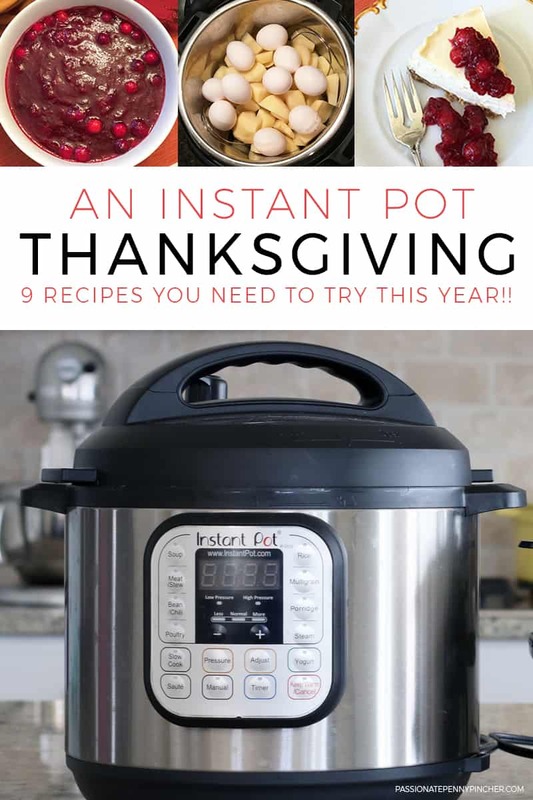 We thought it would be so fun to come up with some simple side dishes prepared all in the Instant Pot to make your Thanksgiving dinner a winner and relieve some stress too! 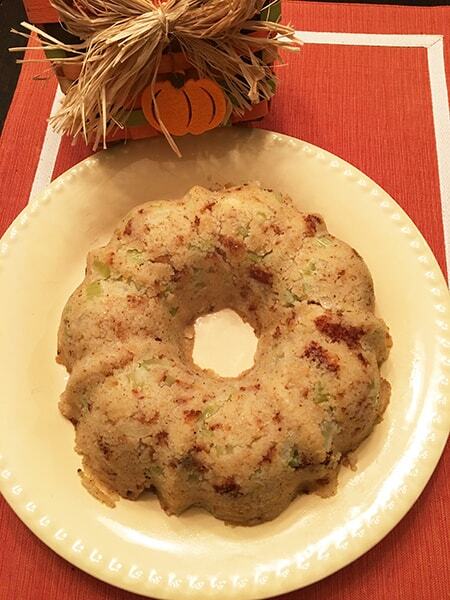 This cornbread dressing is a Thanksgiving favorite from PPP team member Staci's family . . .
1 recipe of cooked cornbread (best from an iron skillet) – my grandmother, Momma, always said to use the recipe right on the Martha White cornmeal bag. Crumble cornbread into a large mixing bowl. Cook celery and onion with butter in a skillet until thoroughly cooked. Add to the cornbread. Add all ingredients to the cornbread and mix well. Place into a 6 cup bundt pan and cover with aluminum foil poking a hole where the hole is in the bundt pan. Make aluminum foil sling for the bundt pan and lower into Instant Pot and onto trivet. Cover and cook on high pressure 15 minutes. Quick release and remove lid carefully. Brown in a 350°F oven for about 15 minutes, if desired. Flip out of bundt pan and onto serving plate. Cube and toast bread. Use a pizza cutter to cut the bread into ½-inch cubes. Place on a cookie sheet and bake 20 minutes at 350°F. Stir at 10 and 15 minutes. Place in a large bowl to cool. Cook vegetables. Place butter, celery and onion in a skillet. Melt and sauté until vegetables are cooked through. Add chicken broth, salt, sage and pepper and stir well. Pour over the bread cubes and mix well. Stuff into a 6 cup bundt pan. Cover with aluminum foil poking a hole in the middle where the hole of the pan is. Pressure cook. Pour 1 ½ cups of water into the Instant Pot. Place the trivet into the bottom. Make a foil strip sling and use it to lower the bundt pan into the pressure cooker. Fold the strips of the sling down so that they do not bother the closing of the lid. Lock the lid into place. Cook on high pressure for 15 minutes. Use a quick release. Carefully remove the lid when ready. Remove the bundt pan and flip it over onto a sprayed baking sheet. 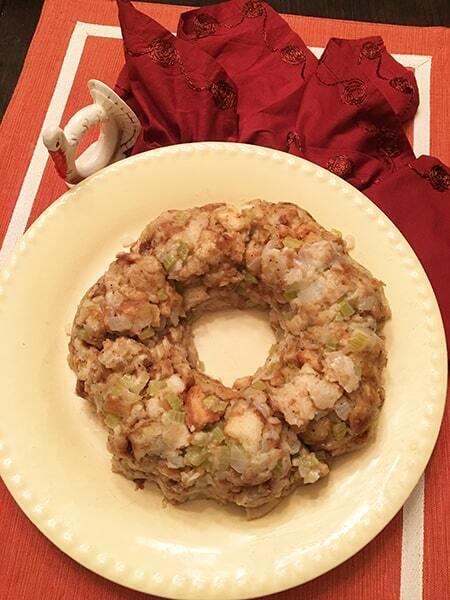 Cook in a 350°F oven 5-10 minutes to crisp up the stuffing. Of all the recipes we tried, I this one was the most surpring (and fastest!) recipe. This cranberry sauce pretty much takes center stage! Wash cranberries; remove stems and discard the soft, discolored or wrinkly ones. Pressure cook the cranberries: Combine orange juice and honey. Pour into the Instant Pot. Place 10 ounces of cranberries into the pressure cooker. Close lid and pressure cook at high pressure for 1 minute. Let the pressure natural release and do not do the quick release. Open lid carefully. 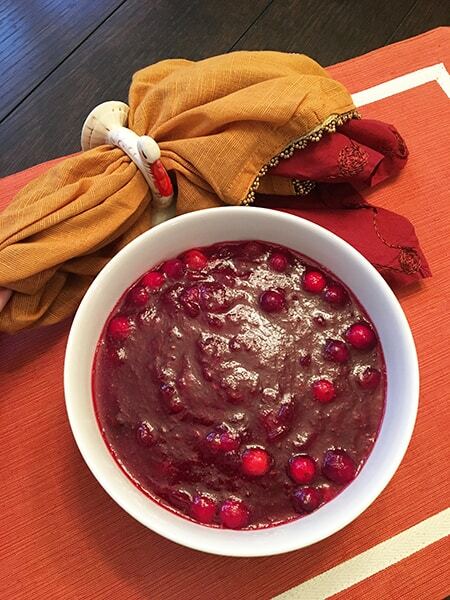 Make the cranberry sauce: Turn the heat to medium (Instant Pot- click cancel and sauté button). Using a wooden spoon, stir and break the cranberries. Add in sugar and remaining cranberries. Stir and the heat will melt the sugar to form a thick cranberry sauce. Add a pinch of salt. 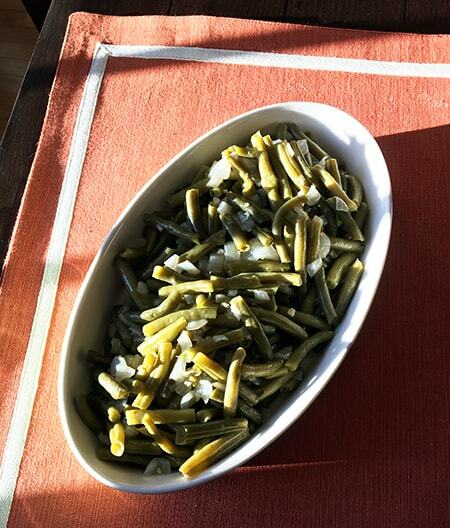 We were so surprised to get the taste of southern styled green beans with this recipe ~ they truly taste like they have been cooking all day on the stove top! Snap and rinse green beans. Add all the ingredients into the Instant Pot. Set the cook time for 25 minutes on high pressure. Place chopped carrots in a steamer basket into the pressure cooker. Close lid and cook at high pressure for 4 minutes. Quick release. Carefully remove the lid. Remove the carrots and dry well. 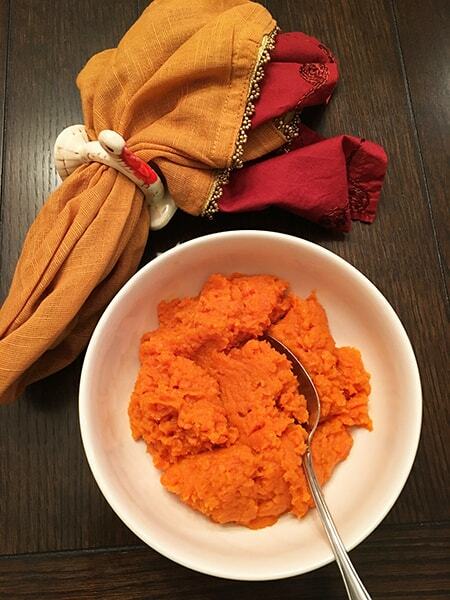 Place the carrots into a bowl. Use either an immersion blender or hand mixer to blend the carrots to desired consistency. Of course, no Thanksgiving (especially not an Instant Pot Thanksgiving!) 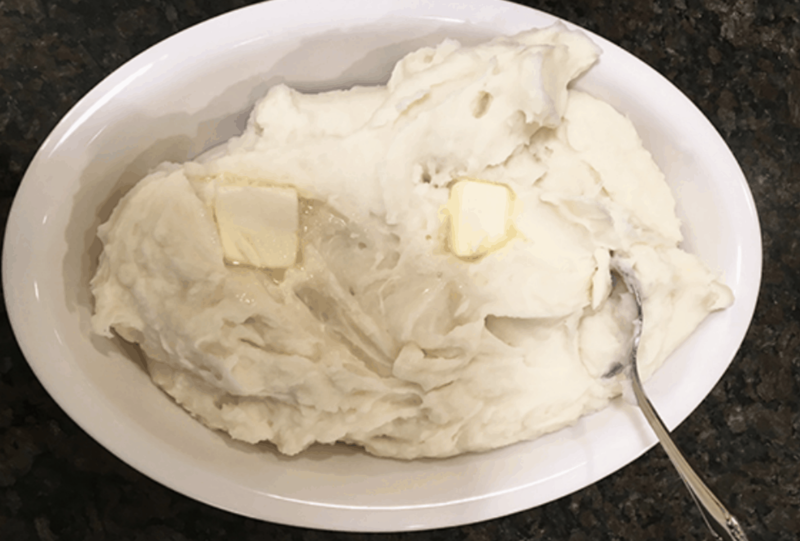 would be complete without a BIG bowl of homemade mashed potatoes! Place the trivet into the Instant Pot and place potatoes on top of the trivet. Pour in 1 cup water. Close lid and cook on high pressure 7 minutes. Place the drained potatoes in a bowl or the bowl of your mixer. Beat potatoes with hand or stand mixer until all broken up. Continue adding milk and butter until your desired consistency is reached. 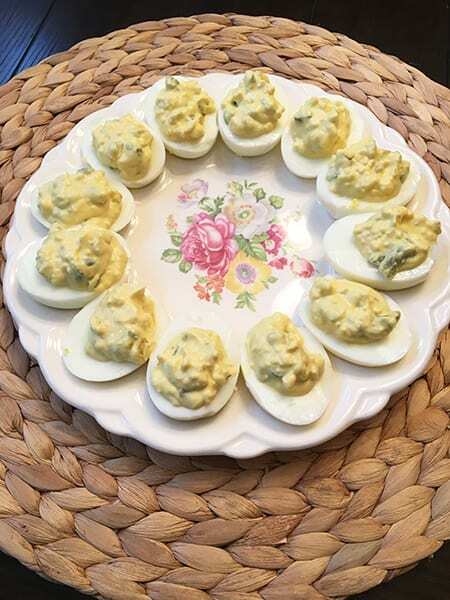 NOTE– to save time you can place eggs on top of your potatoes while cooking to make boiled eggs for deviled eggs. 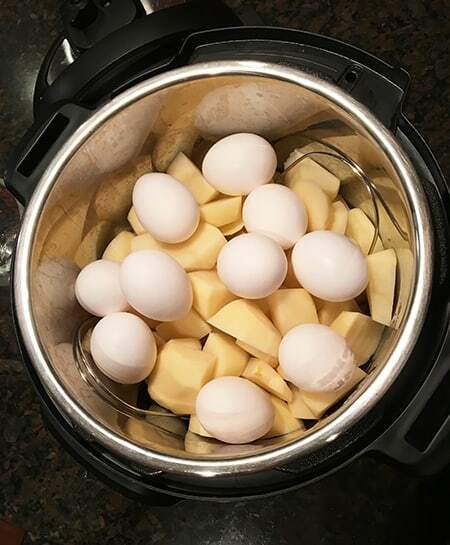 Place the trivet into the Instant Pot and place eggs on top of the trivet. Pour in 1 cup water. Close lid and cook on high pressure 5-7 minutes. Place the hot eggs in a bowl of cold water to halt the cooking process. Peel eggs and slice in half lengthwise. Put yolks in a small mixing bowl. Mash yolks with a fork, then add mayonnaise, pickle relish and mustard. Fill egg whites with the yolk mixture and garnish with paprika. 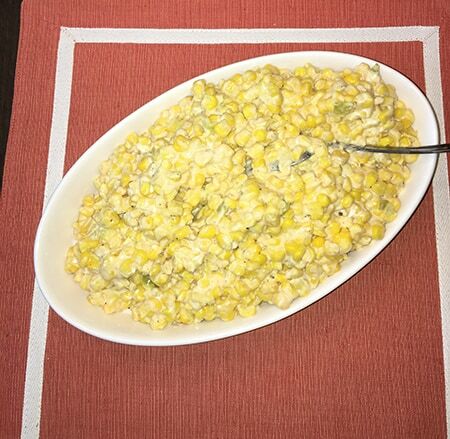 This corn recipe is a Thanksgiving tradition for one of our PPP team member Cheryl, and it worked out perfectly in the Instant Pot too. Place corn, butter, peppers, salt, cumin and black pepper into the Instant Pot and add ½ cup water. Cover and cook on high pressure 20 minutes. Quick release. Carefully remove lid. Put the Instant Pot on sauté and stir to melt the cheeses and heat thoroughly. So, remember when we said that the cranberry sauce took the stage, well now you know why! Who knew??? 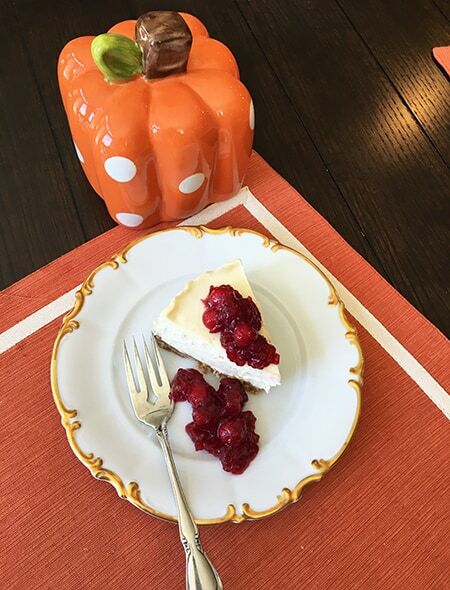 Cheesecake in the Instant Pot? .YES, PLEASE! Mix all the ingredient together with a fork. Line the sides and bottom of the cheesecake pan with parchment paper. Pour in the graham cracker mixture and gently press down the crumbs with the bottom of a jar or spoon. Mix cornstarch, sea salt and sugar together in a small mixing bowl. In another mixing bowl, blend the cream cheese 20-30 seconds on low speed with a hand mixer. Add in half the sugar mixture and beat on low speed until just incorporated (less than 30 seconds). Scrape down the sides of the mixer each time a new ingredient is added. Add the remaining sugar mixture and beat on low speed for another 20-30 seconds. Add sour cream and vanilla. Beat just until mixed (less than 30 seconds). Mix in first egg (less than 20 seconds). Mix in in second egg (less than 20 seconds). Scrape down sides and beater. Fold over a few times with your spatula just to make sure everything is well mixed. Pour cheesecake batter into the pan. Optional: tap the cheesecake pan against the counter to let air bubbles rise and burst them with a toothpick. Pour 1 cup of cold water into the Instant Pot with trivet. Make an aluminum foil sling and lower the cheesecake pan into the pot. Close the lid and cook on high pressure 26 minutes. Let the pot do a full natural release. Open the lid carefully. Remove any condensation with a paper towel. Allow the cheesecake to cool to room temperature with the lid open or place it on a wire rack to cool. Once the cheesecake has completely cooled, place it in the refrigerator for at least 4-8 hours.